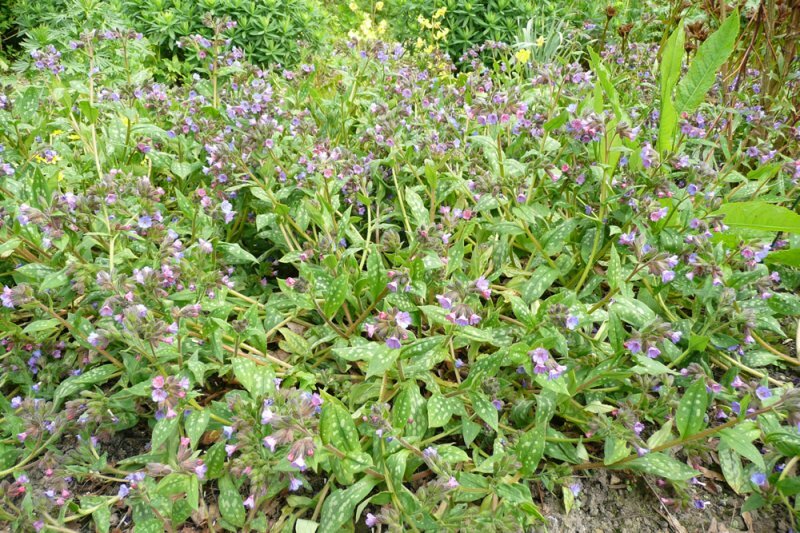 Lungwort 'Lewis Palmer', Lungwort 'Highdown', Jerusalem cowslip, Jerusalem sage, Bethlehem sage, and soldiers and sailors. 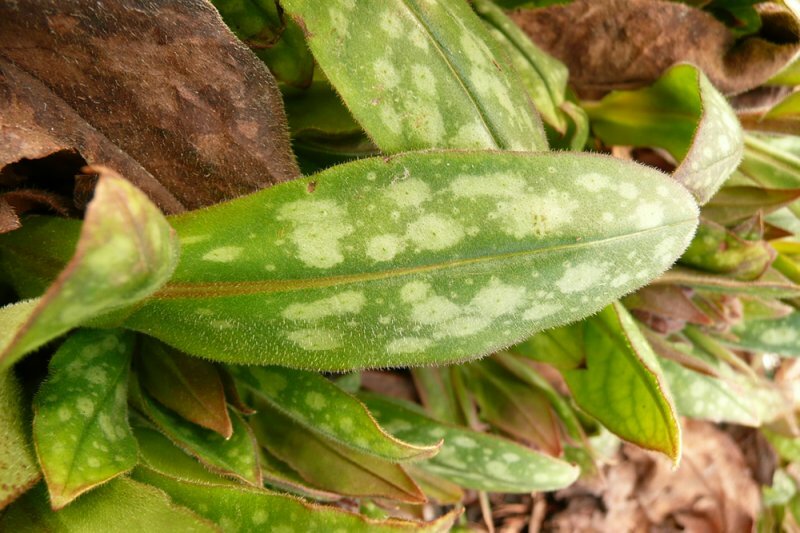 To 35cm height by 45cm spread. 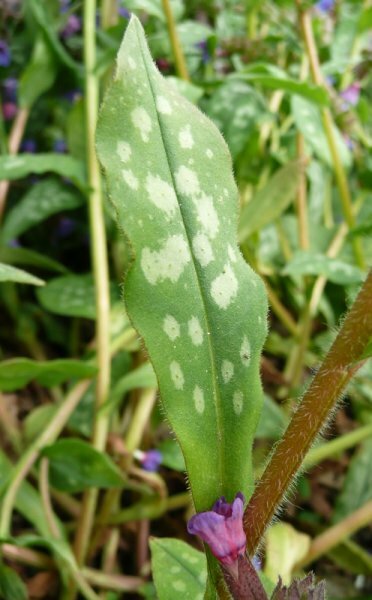 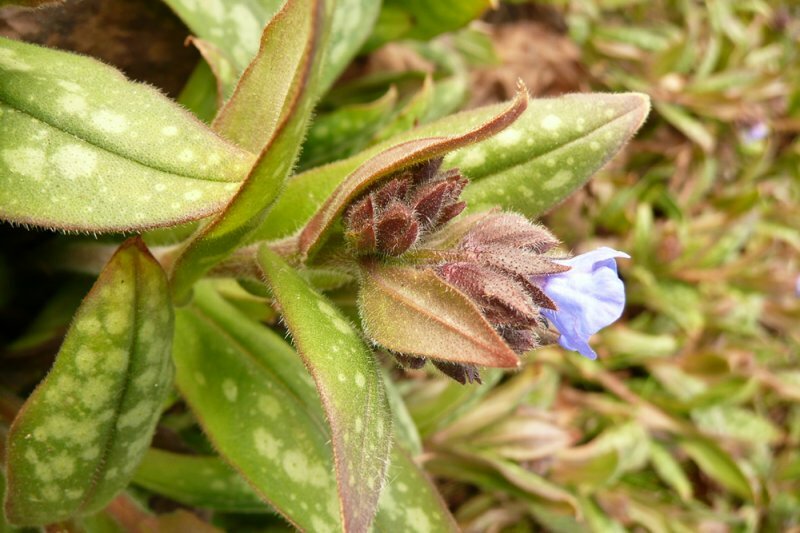 The typically white-spotted leaves are dark green and the flowers, which begin to appear in early spring, start violet/pink before developing into a pale blue colour. 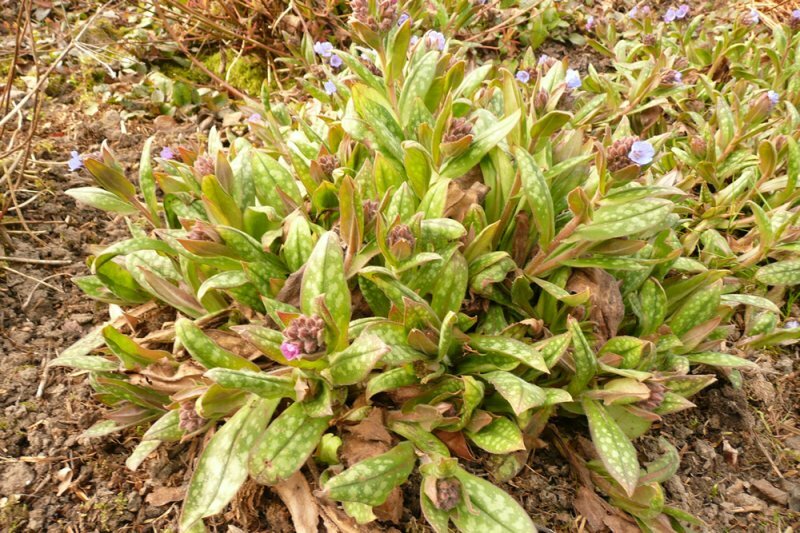 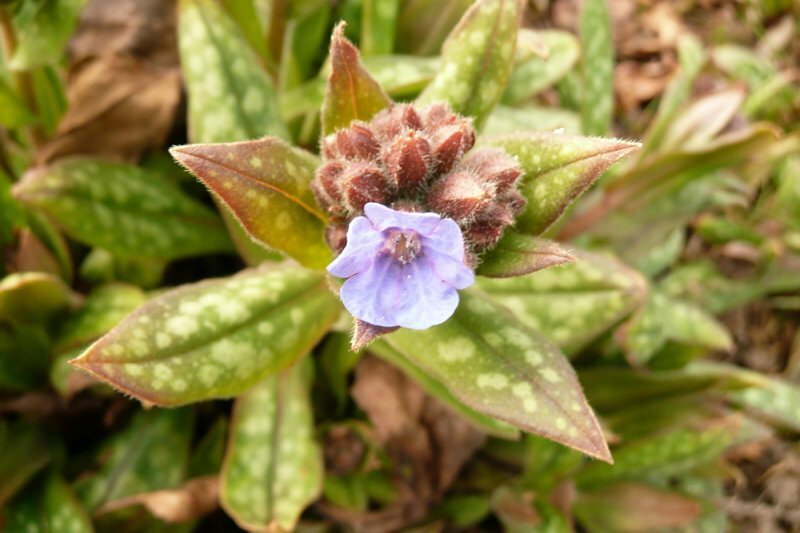 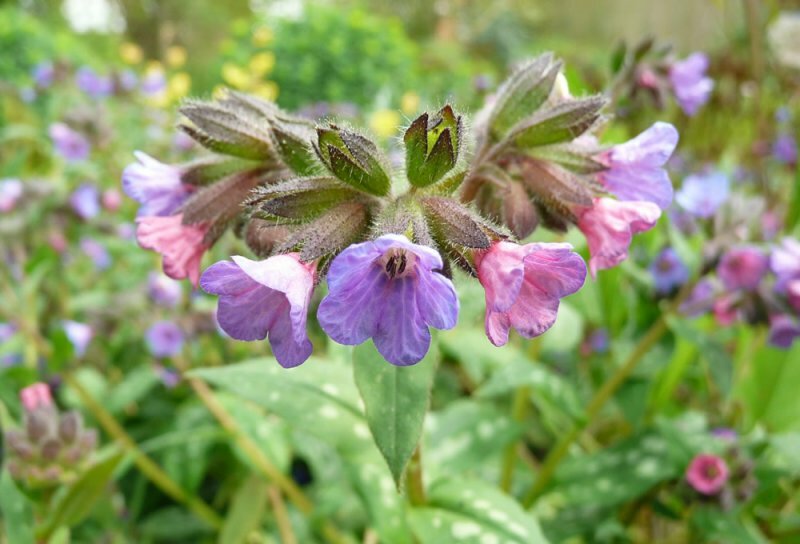 This lungwort has been given the Award of Garden Merit by the RHS.